Unicorn Lolly | Tantalise your tastebuds! 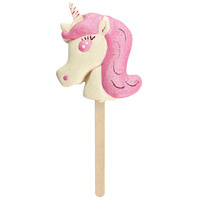 Perfect for the ultimate party bag! 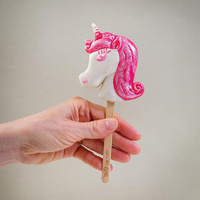 Looking utterly fabulous and tasting even better, the Unicorn Lolly is guaranteed to treat your eyes and your tastebuds! 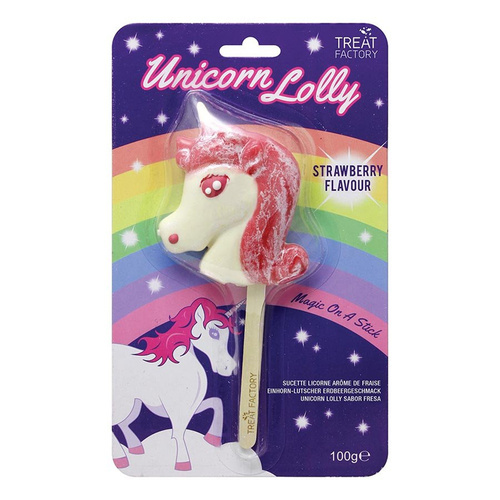 Perfect for kids with a great imagination, they'll be prancing around with joy as they taste the magical strawberry flavours of the unicorn! The level of detail is astounding, with a flowing pink mane and beautiful horn, it's sure to make a statement in your party bag or buffet!